As woman’s month comes to a close we are reminded of A woman’s worth through poetry. The Central Library in Cape Town hosts poetry sessions every last Saturday of the month from 2pm, there’ll be a guest poet and a chance for up and coming poets to take centre stage and move us with their thoughts. I’ve been to a few poetry sessions and it always moves me seeing the emotion portrayed by poets as their words flow, sometimes like daggers to the heart, other times like the sweet scent of a rose through your nose. Poetry can evoke all kinds of emotion both from the poet and the audiences. And nothing left but state and pride. Who, with power, has all the wit. And all the fawning flatterers hate. The above poem was written in a time when woman were seen as the property of their husbands they had no real say in society, things have changed dramatically over the times. Woman have come into their own and realised their real worth. The poets today took to the theme with enthusiasm and vigor, reciting their thoughts of the woman in their lives or just woman in general, praising them and thanking them for the role they play in our society. Men respect your woman, treat her right she is a goddess given to us as mother,companion, soulmate to cherish and to hold – her worth is immeasurable. This entry was posted in Uncategorized on August 29, 2015 by shaunjengel. 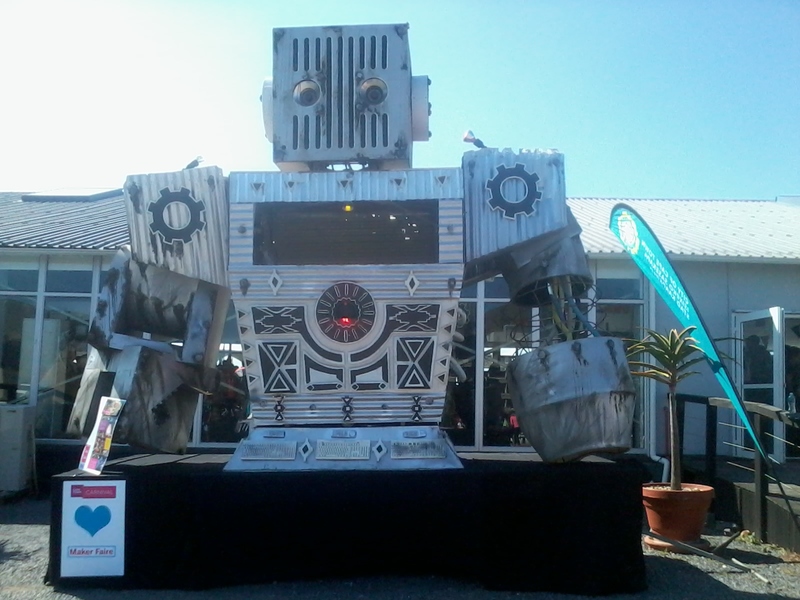 The inaugaural Cape Town Maker Faire where you are able to interact and engage with the future game changers of our society…. ..yip forget Aliens, Robots are coming and they are ready to take over your toaster. Gone are the days when you needed to go to work in a suit and tie to be successful these ‘makers’ work from their homes and what they produce are some of the most amazing things you’ll see. 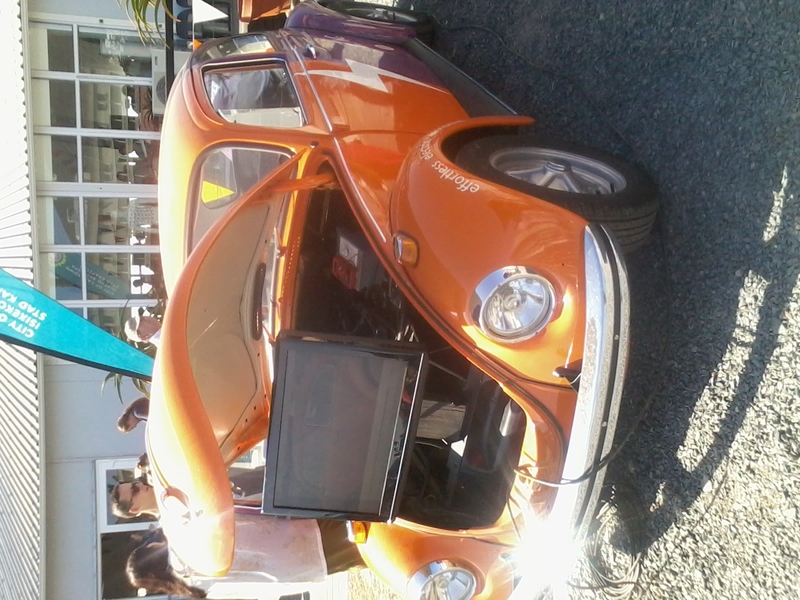 An electric Zing Bug yeah the beetle has gotten a makeover and is more environmentally friendly – carbon wheel print and all. I tried the Flyboy and have to admit I’m not made for that thing you have to trust the machine or….yip its more trusting yourself right hmmm guess I have trust issues haha but it is fun once you get the hang of it, which I didn’t. The Drone Zone was cool they had some races through a course set up inside the venue. A camera attached to the drone allowing the user to see where ever you fly using glasses like a first person shooter, that was awesome. 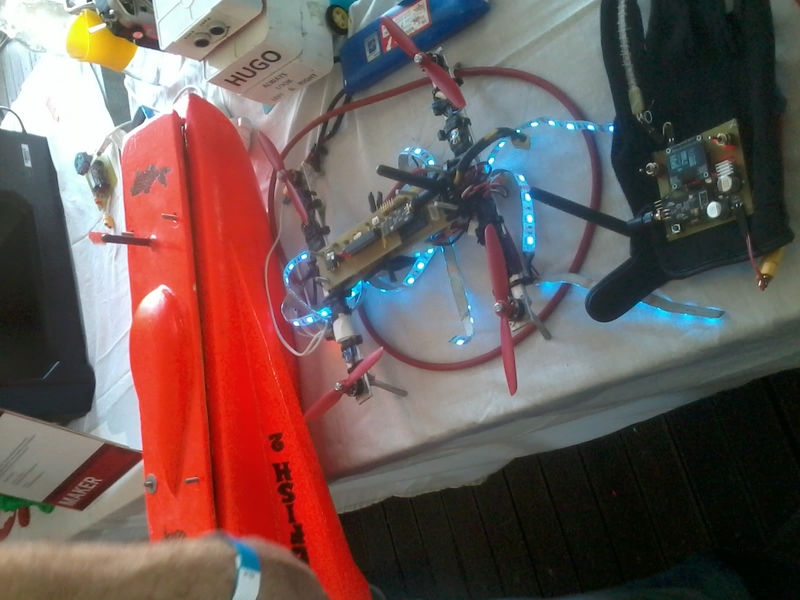 There was even a guy who made a glove that controls the drone..
With a stage allowing the Makers to present their work and a platform for us to see the people behind these awesome designs. Got to see the real mechanics behind those awesome floats we see at the Cape Town Carnival each year, you learn respect and appreciation for the people behind the scenes after you see the work put in. I even learnt how to make my own hologram and a pop-up card with the help of the team at Living Maths. 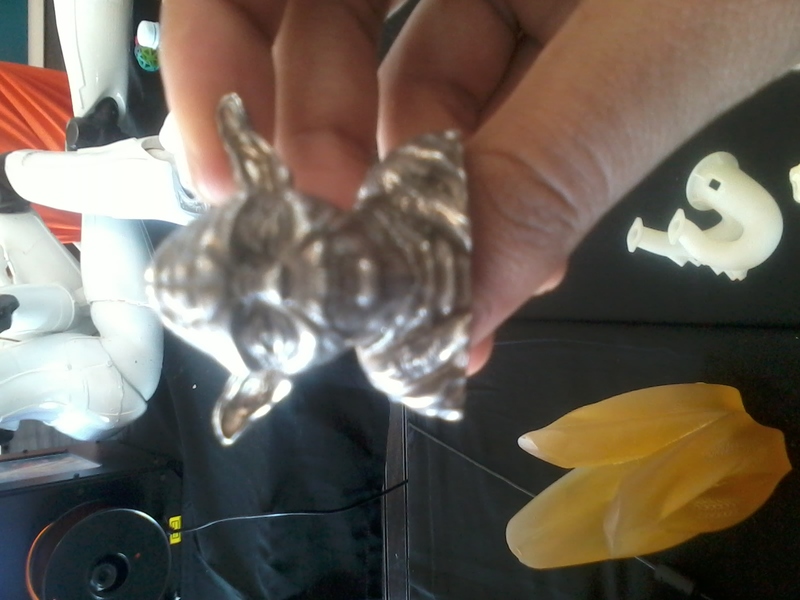 Thank you Master Yoda I intend to.. What!!! 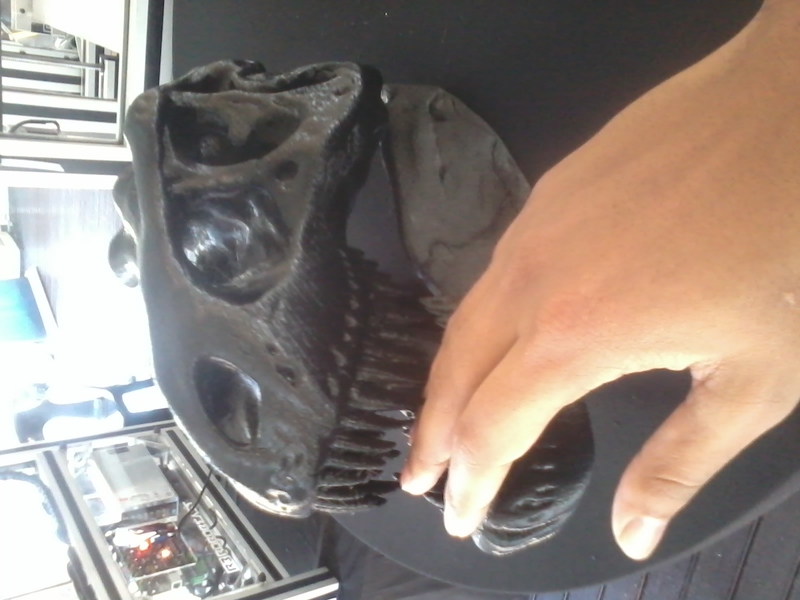 No I am not Lukes Father..
An awesome experience at the first Cape Town Maker Faire and I am sure it will only grow from here. 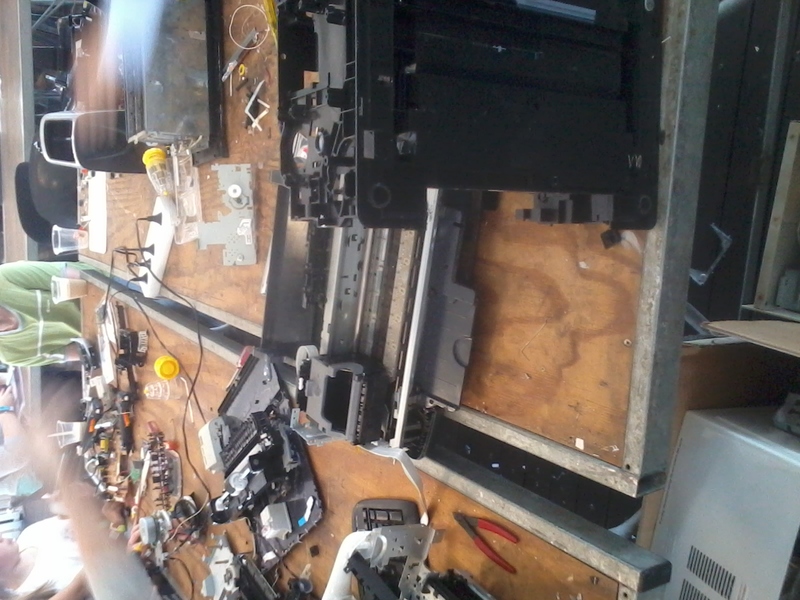 There should be many people who can donate old TV’s and toasters to be taken apart by aspiring young minds. This entry was posted in Uncategorized on August 22, 2015 by shaunjengel. You’ve seen him on SA’s Got Talent – You’ve heard him on Youtube…now let him take you on a different road, they say you will be surprised what you find if you take the road less traveled. 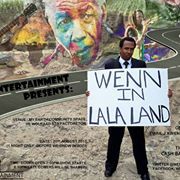 Forget Alice in Wonderland…this is Julian WENN in Lalaland – sophistication on another level, throw all what you’ve seen before out the window this guy will entertain you, no he will WENNtertain you in his first one-man show…en moenie laat kom nie you will be shamed. Armed with a guitar, mic and many faces this show will take you on a roller coaster ride of unexpected twists and turns into the mind and world of Mr Wenn, like the Cheshire cat in Alice in Wonderland, Julian has a story to share and through his show that story comes alive. Music, acting, crowd participation and just an all round positive attitude is what you can expect, when the performance is over you’ll learn that all you need to do to change the world is SMILE. The show goes to Joburg after a one-night only performance in Cape Town tonight so soos hulle sé you snooze you lose, yarre Cape Town moet julle altyd so laid back wies but not to worry ek sal met die ou praat miskien bring hy sy positive vibrations wee Kaap toe….and when he does you better recognize because Julian Wenn is going to become a household name. Jozi are you ready to be WENNtertained? This entry was posted in Uncategorized on August 20, 2015 by shaunjengel. I’m in town for the Open Design programme when I notice a free walking tour of Bo Kaap hmmm why not this seems interesting, a new way to explore the cultural hub of Upper Cape Town. The tour starts at 2pm and it is 1pm my mind and my tummy tells me it needs food so I head off to find me some bacon…I heard about Bacon on Bree and so I’m on a mission to get those 3 little pigs in my belly nom nom. A cosy venue in Bree Street, I asked the waiter what he recommended and went with the new house favourite ‘Salma Hayek’ – yeah my thoughts went to the actress on a plate but hey dreams don’t always come true haha – I got the fastest service ever, my order came in less than 5 minutes from ordering. It was served on a plate shaped like a pig – awesome, they said everything was made of bacon but I never expected that. The food was excellent I’d recommend Salma Hayek anyday ;-). Tummy filled I’m ready to walk it off hmmm seems like I’m a little early, after a quick introduction from the tour guide he recommends a coffee – I go for a single shot of espresso (first time) – caffiene boost of note o_O. 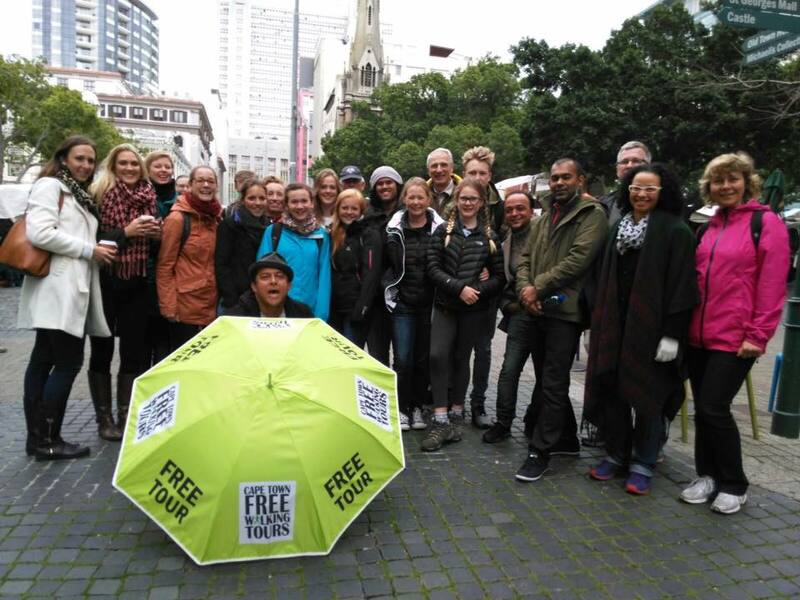 22 people in the group ready to brave a lovely Cape Town Winters Day and make their way up Bo Kaap to experience Culture, Cuisine and Customs but first a group photo. The walk is +- 1 hour 30 minutes and takes you directly into the heart of Bo Kaap in living colour, with various stops along the way you are bound to learn something new even for a local like myself, we can’t let the tourist have all the fun right ;-). 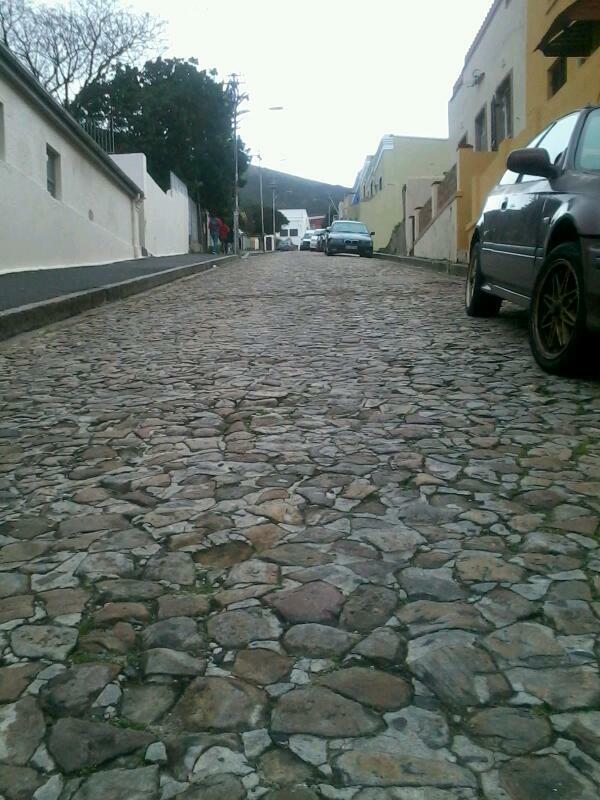 ..you’ll stop at the oldest Mosque in Cape Town. You’ll be taught the local Muslim greeting and put this into practise as you stop at Biesmiellah’s for a “Koesister” if you like. 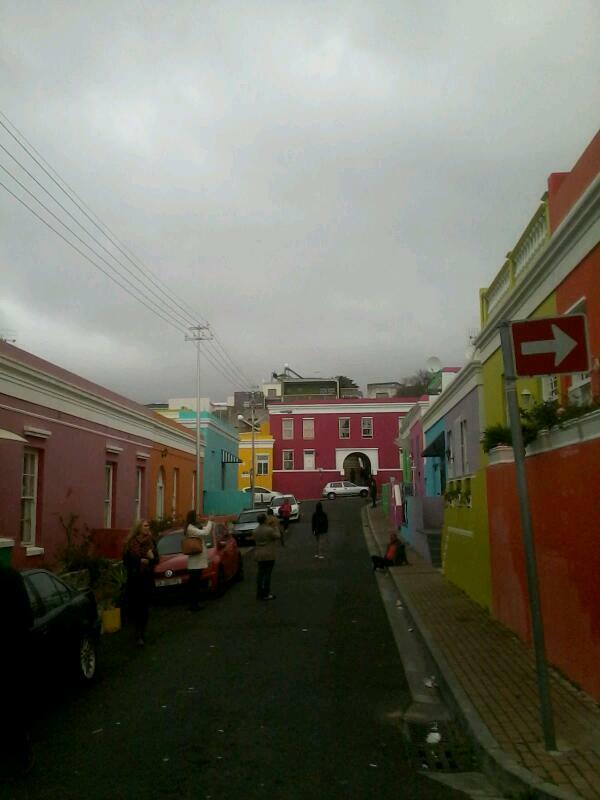 There are many things to do in Bo Kaap this free guided walk (tipping the guide is welcome ofcourse) is just a little taste but definitely worth the time – our tour guide Rico was really entertaining and knowledgeable of the area not forgetting his cheesy jokes to keep us warm with laughter. So grab your walking shoes and take the road less travelled you might just discover something amazing. This entry was posted in Uncategorized on August 15, 2015 by shaunjengel. A 12 Day event featuring curated exhibitions, performances, seminars, demonstrations, launches and open studios sharing the transformative power of design through talking about, reflecting on and engaging with it; exchanging information that could benefit a broader local and global growth of ideas, practices and markets. Think of the future. What does it look like? Do we have what we need to feed, house, clothe, move and educate all people? Is there enough to sustain future generations on one planet? Or is our vision the same as what we see in 2015? 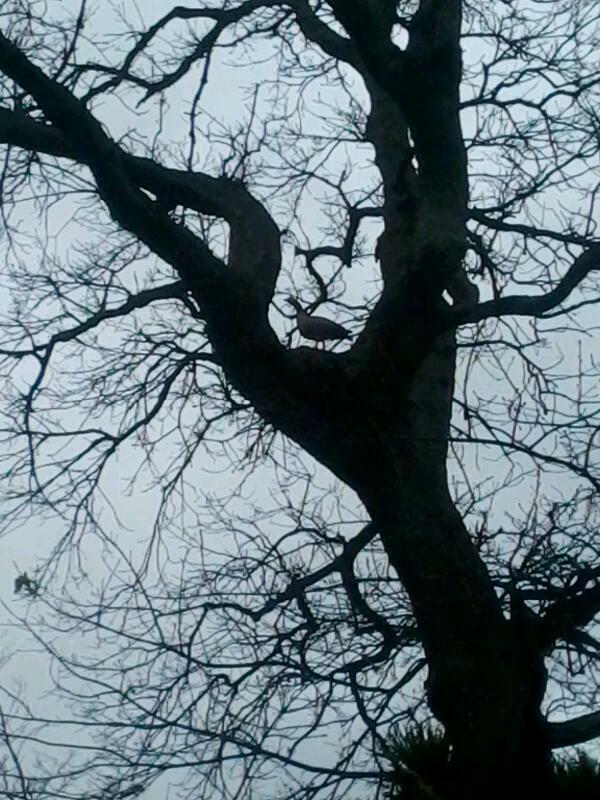 That is a bird or duck I’m not sure but he was calling his mate who was in an opposite tree…I think this was some kind of mating call – the saying Love takes you to new heights in living colour :-D.
I also entered a medieval film shoot by the City Varsity students a scene close to Game of Thrones or Lord of the Rings – I even got interviewed about the SA Film industry, they said it will be up on some site soon maar ek dink ek was te nervous to be famous haha screwed up my 5 seconds of fame. There were many people on-route and posters directing you on What’s happening and where – dancers in the streets and trumpet players – I love my City when it is this alive. Another unrelated event to Open Design was when I almost became an extra to a movie shoot looked like some brazilian movie with Capoeira on Greenmarket Square. The Open Design programme runs from 12 August until 23 August they invite you to imagine, design and co-create the technology, healthcare, agriculture, education, housing, cities and business of the future. Come and hear ideas, share experiences, discover innovations, discuss viewpoints, debate opinions and celebrate the value and impact of great design. Their mission is to develop a culture that educates and empowers youth, develops human capital, drives socio-economic change, nurtures leaders and activates responsive citizens. This is the foundation that will allow society’s future custodians to lead us towards a new tomorrow. From what I experienced today we are in for a jam-packed fun-filled week. 21 years a coming of age to some, to a nation it is a number which signifies new beginnings and to an organisation it represents an invitation for YOU to SPRING INTO ACTION – The National Council for Persons with Physical Disabilities in South Africa invites you to celebrate a milestone with them in purchasing a Casual Day 04 September 2015 sticker, not only are you allowed to dress up for the occasion but you are also supporting those with disabilities. There are many organisations who benefit from this initiative, one such organisation is Filia School situated in Goodwood for learners with high physical, emotional, social and academic needs. They cater to 192 learners aged between 6 to 18 years from all over the city. From as far afield as Kraaifontein, Du Noon, Delft, Mitchell’s Plain as well as the surrounding areas such as Elsies River, Bishop Lavis, Valhalla Park, Athlone, Parow and Goodwood. With an “I can” attitude this school has made it their mission to motivate and encourage these leaners that despite their situation they are worth something and they have the potential to contribute to society. The style of teaching is one of individual attention allowing each learner to grow at their own pace, nurturing their individual strengths through encouragement, motivation and support as best they can. They strive to provide a platform for these kids to leave the school with a positive attitude and an outlook on life which says “I CAN”, I AM great and I WILL walk tall in a society which often barricades my development. In their quest to provide for these learners in the best possible way, fundraising plays an integral part of financing their various initiatives and goals set. The Casual Day programme allows for a portion of the proceeds raised to go to the school for their specific needs. They are looking to the support of community members, social clubs and corporates to help by purchasing Casual Day 04 September 2015 stickers for as little as R10 from the school, the proceeds will help greatly to improve their building and ensure that the learners are well taken care of for the duration of their stay at Filia School. 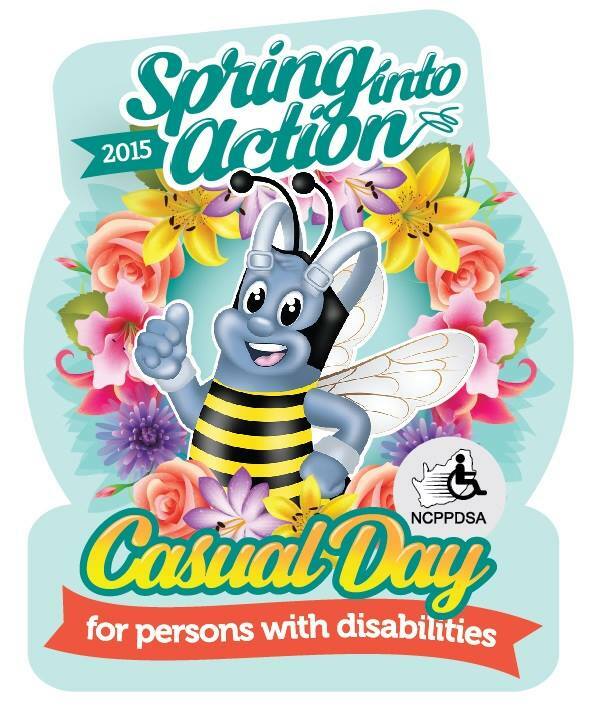 In the theme for Casual Day 2015 it is up to YOU to put a SPRING in your step and in doing so YOU are able to contribute to something great. email; casday.filia@gmail.com Address: 107 Milton Road, Vrijzee Goodwood 7460. This entry was posted in Uncategorized on August 12, 2015 by shaunjengel. We all know the saying Hell hath no fury like a woman scorned. Today in South Africa we pay homage to woman all around the world but especially our woman in South African history who stood united against the pass laws of the Apartheid government in 1956. I am not one to look back but in order to move forward we need to learn from our past so as to not make the same mistakes…but this was definitely no mistake this was inspirational, every woman in South Africa should realise there is power in numbers and when united they are powerful beyond measure. doves behind your veil. Your hair is like a flock of goats leaping down the slopes of Gilead. Just as powerful as you are, you are beautiful too and should be respected, no woman should be subjected to the abuse both physical or mental by anyone (men, children or another woman). You were created as a “helper” to man but with your own desires, vision and dreams without you we are lost. 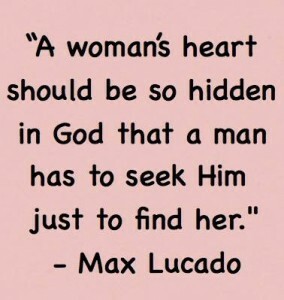 man shall leave his father and his mother and hold fast to his wife, and they shall become one flesh. So what we have learned from the happenings in 1956 is..
Harsh words in a harsh world, empowering woman but also teaching men respect in order for history not to repeat itself. This entry was posted in Uncategorized on August 9, 2015 by shaunjengel.